Can positive relationships built between students and Christian Ed. teachers be translated into a thriving youth ministry. One school is showing how it can be done, in partnership with their local church. This ministry profile was provided by Andrew Lucas, Head of Christian Education at St Andrew’s Anglican College. What was the need or challenge being addressed? The need being addressed was that I had the privilege of having some very enthusiastic Christian Education students who were making great connections in their understanding of who God is and what He’s done for them during Christian Education classes and at Chapel. The challenge was that we didn’t have another avenue to grow and further develop their faith beyond what the College provided within school hours. What was the response to the need? My response was to gauge the year 6 student interest in forming and attending a Youth Group. This process began throughout semester two of 2016 mainly during my Year 6 Christian Education classes discussing the nature and purpose of an effective Youth Group. Think Tank – Students were asked what ingredients they would include for the type of group they would want to attend. Feedback was consistent including fun games, a focus bible topic/talk in a large group (between 5-10 minutes), as well as small group time with individual leaders to discuss things more deeply. In all, 2 hours on Friday evenings fortnightly was agreed on as a good time. In late 2016, we identified five suitable young adult leaders to assist in starting a youth group that would become like a bridge building intention between the College and the Church plant that had started in the College about two years ago. These five young adults were sponsored to attend the Next Gen. Youth Leaders conference in Katoomba to gain training and encouragement for their roles as youth leaders. Early January saw the planning of Term 1 for ‘Generate Youth’, which became the inaugural youth group at St. Andrew’s Anglican College. A combined initiative of the College and the Anglican Church of Noosa. The impact has been immediate and encouraging. We are averaging between 30- 40 students each Friday fortnight, sincere and trusting relationships with leaders are developing and parents are both supportive and grateful. Students are intentionally growing in their faith and wanting to be baptised. The Generate Youth Facebook page is well supported and gives parents the opportunity to connect with us and see photos and information regarding highlights from each gathering. Each week we distribute a small square “memory card” with our focus bible verse on the front for students to take home and put up on their wall to collect and memorise. On the flip side of each card is a linked mystery verse for those who would like to discover more. By year’s end, there will be a prize available for the “Generatee” who can memorise all the memory card verses for the year. It’s incredible and encouraging to hear students memorising scripture and challenging each other with this. On Sunday mornings during Church, students in Years 6-9 are encouraged to come to the Generate D group which is a discipleship focused version of Friday nights, allowing us to explore faith further with students who come along and get connected to church. Each week the leaders also put together a quirky 3-4 minute ‘primer’ video which I show during class as a promo opportunity, which gives students a glimpse of what’s coming up next at Generate Youth. What were the greatest challenges or issues faced? Our main challenge is sourcing additional and suitable leaders who understand the culture they are reaching as well as leaders who are also mature in their understanding and their living of the Gospel. Our hope is to keep small group number ratios below five students per leader which allows for quality small group discussions to occur. 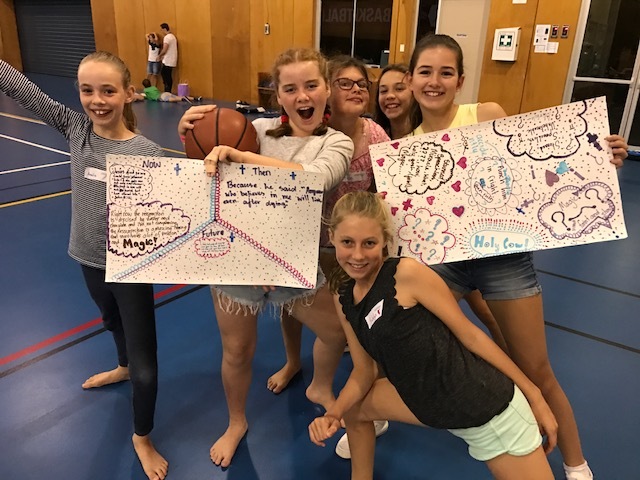 The group is aimed primarily at Year 6-8 students and will expand as the years go by to focus on Years 6-9, then hopefully a Years 10-12 version for seniors in years to come, allowing senior students the opportunity to be trained to become leaders of the younger Generate Youth Group. After being at the College now for nine years, it is very encouraging and rewarding to see that Christian Education classes and Chapels in Anglican schools really can provide a wonderful opportunity to introduce students to the Christian Faith and ultimately into a Church fellowship which can help them and their families to grow and be encouraged as followers of Jesus. Next Post Does authentic Christianity actually infuse the culture of Anglican schools?